Set of 2 Felt protective trivet diam, 1 green and1 kiwi protective felt cloth. An ideal article from a smart and original kitchen design,to avoid scratching, pans, wok, sauté pan or other pots. 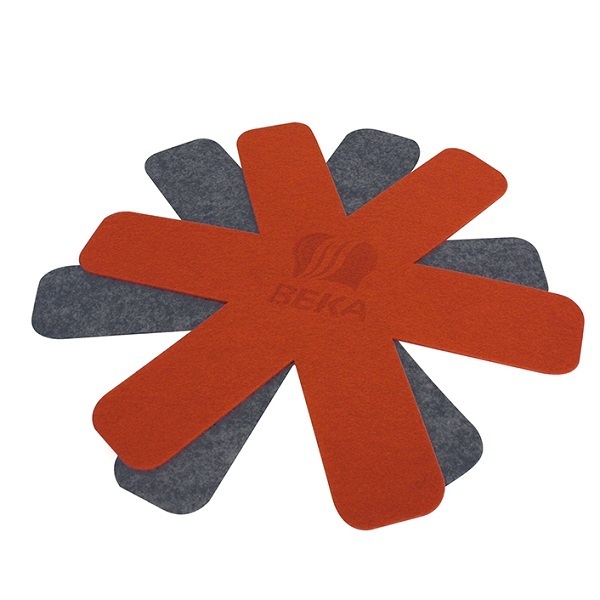 A Set of 2 Felt trivet diam, to avoid scratching, pans, wok, sauté pans or other pots. A pratical kitchen accessory will definitley have a place in your kitchen. Beka Cookware Engineered with a flawless designs and quality materials, some of the best quality kitchen utensils to prepare your meals with. All Beka products contribute to a better and cleaner environment. Beka tries to give the best possible service and protection to the environment, its collaborators, employees and very importantly it's customers. Beka Cookware; Built to last and timeless high quality products. Beka constantly examines the impact of materials and high-tech processes on our health and the environment. Striving to continuosly innovate & improve its products and processes for the best finished products, try the cookware range by Beka!